Run entirely by volunteers, we rely entirely on donations and money raised at fundraising events to help feed, house, neuter, vaccinate and chip cats in our care. We really need more help, so if you’d like to get involved, please get in touch. It’s incredibly rewarding. Please note that volunteers must be over the age of 16. Fundraisers – fancy selling bric-a-brac and collecting donations for a few hours on a weekend at local pet stores, fayres and other events? Have a skill you think might be useful for us? We’d love to hear from you! We are a friendly bunch of cat-lovers, why not join our team for a really rewarding experience! Interested? Please email us: mkcatrescue@gmail.com. Please note that all volunteers must be over 16, unless accompanied by an adult. Looking for work experience? Please click here. Would you like to care for a cat, but don’t want the lifelong responsibility that goes with it? Many rescues rely on cat foster homes to care for cats ‘between homes’. 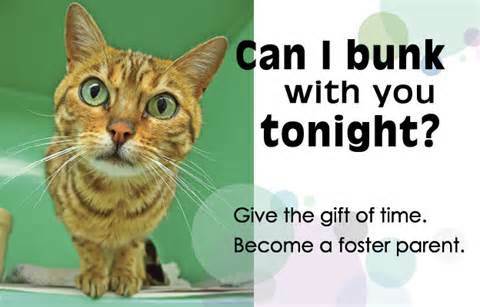 Could you be a cat fosterer? We pay for all vet bills, provide all the cat equipment you will need to give the cat the time, support and love that it needs in order to be re-homed. Contact us today at mkcatrescue@gmail.com, and speak to one of our fosterer’s about how rewarding being a cat fosterer is.